Let loose and go on a shopping spree with Journeys Canada. Shop online today and save up to 70% off many styles. You will find shoes, backpacks, clothes and accessories for the whole family! This Mens adidas Tubular Athletic Shoe is on sale for only $59.99 (originally $129.99) as part of the up to 70% off deal. You save $70! Pushing the boundary between creativity and technological design, adidas delivers the streamlined new Tubular Shadow Athletic Shoe. 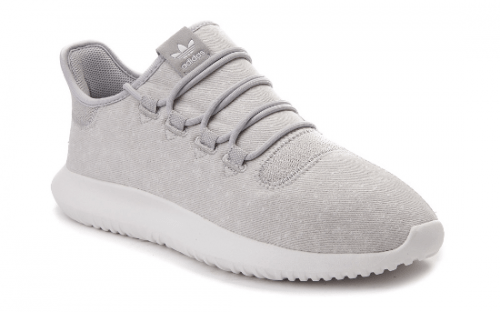 Sporting an iconic design with progressive details, the Tubular Shadow Athletic Shoe is primed for wear-anywhere style, featuring a breathable knit upper built on a lightweight, cushioned outsole with molded ripple tread for traction. 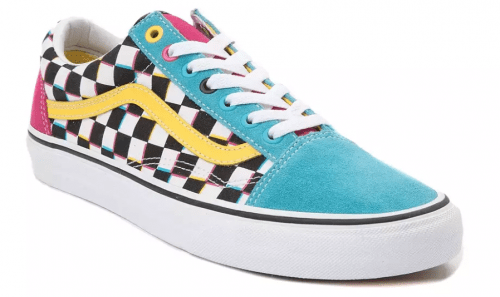 You can also get the Vans Old Skool Chex Skate Shoe! Kickflip into a classic style with a cool retro twist in the new Old Skool Skate Shoe from Vans! This 90’s-inspired Old Skool Skate Shoe rocks a sturdy suede and canvas upper with signature side stripes, iconic checkerboard prints, and classic vulcanized sole construction for flexible grip and traction. Available only at Journeys for $79.99.